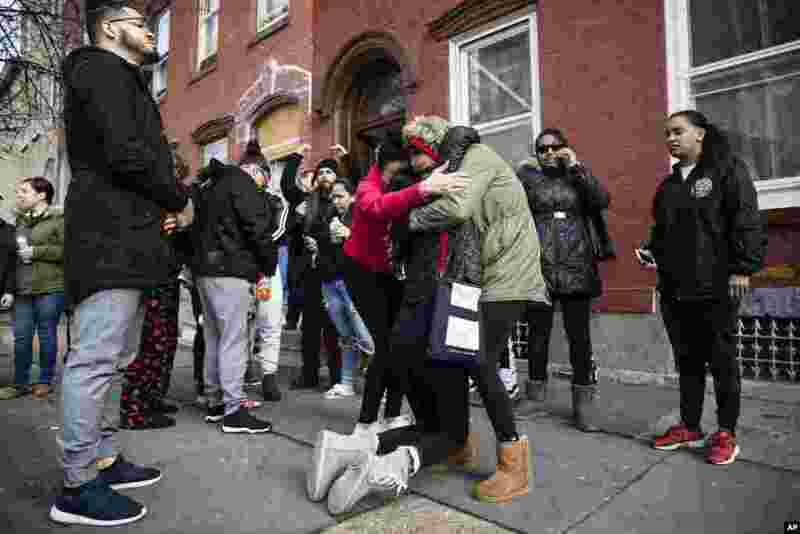 5 Mourners gather where authorities say at least four people have been shot to death the day before, in Reading, Pennsylvania. 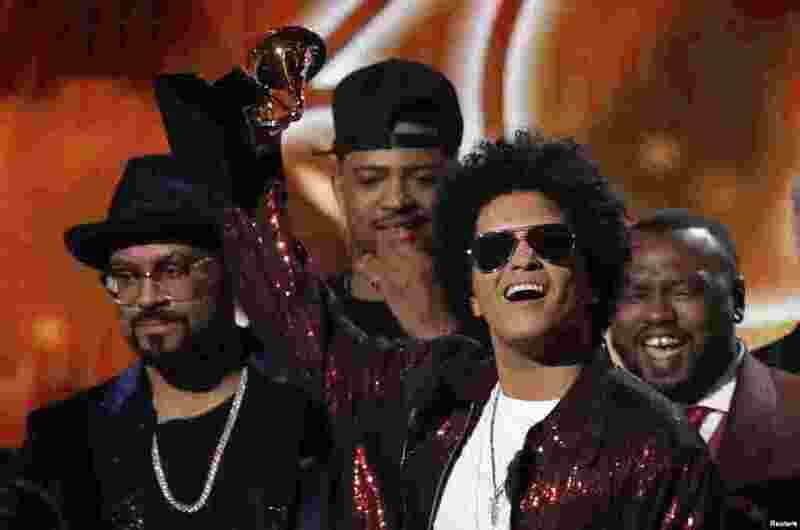 6 Bruno Mars accepts the Grammy for album of the year for "24K Magic" during the 60th Annual Grammy Awards show in New York, Jan. 28, 2018. 7 Lady Gaga arrives for the 60th Grammy Awards in New York, Jan. 28, 2018. 8 Kesha (2nd from R) performs "Praying" with Bebe Rexha (L), Cyndi Lauper and Camila Cabello (R) during the 60th Annual Grammy Awards show in New York, Jan. 28, 2018.